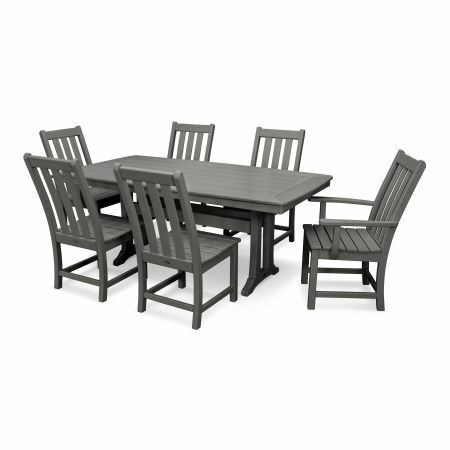 A beautiful patio makes a great addition to your yard, and stylish POLYWOOD® dining furniture will make the perfect addition to your patio. What could be better than inviting friends and family over to enjoy your space while eating alfresco in a comfortable outdoor dining set? 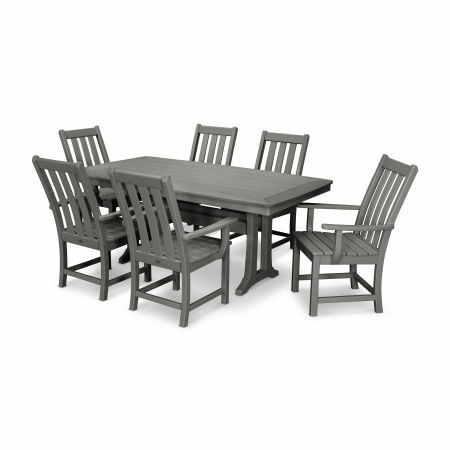 While a patio complements your outdoor space, our wide array of dining sets, availablein many different colors, shapes, and sizes, will complete your patio — bringing elegance and style to any occasion. 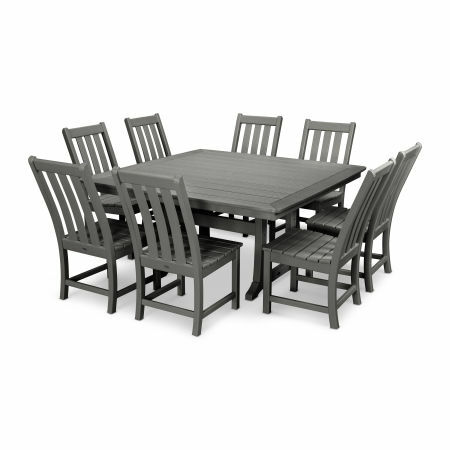 Available in many different designs, so you’re certain to find the perfect POLYWOOD® dining set for your space. More traditional pavers and tiles will benefit from the classic lines of the Chippendale or Adirondack style sets. Contemporary patios with clean lines are the perfect match for our Quattro or Bayline Collections. Rustic patios with an easy-going vibe pair well with the Palm Coast and Nautical sets. 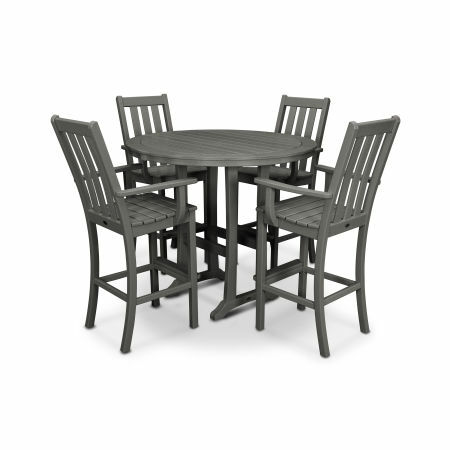 Finally, our Traditional Garden, Coastal, and La Casa dining sets look great just about anywhere. Whether you want your dining set to blend with your patio, or you want to make a statement, we’ve got the perfect colors. From subtle earth tones of brown, grey, and green to vibrant red, orange, yellow, or blue, most of our dining sets come in a wide variety of colors. 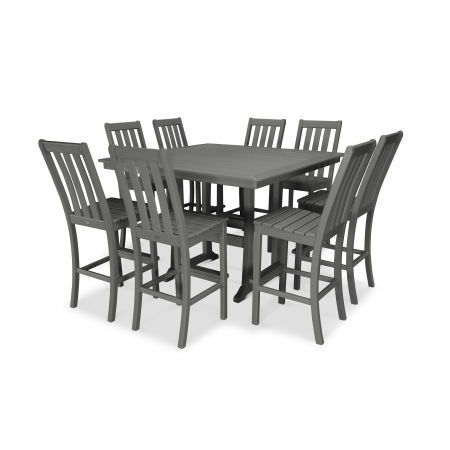 When you’re buying POLYWOOD® dining furniture, you can rest assured you’re buying quality. 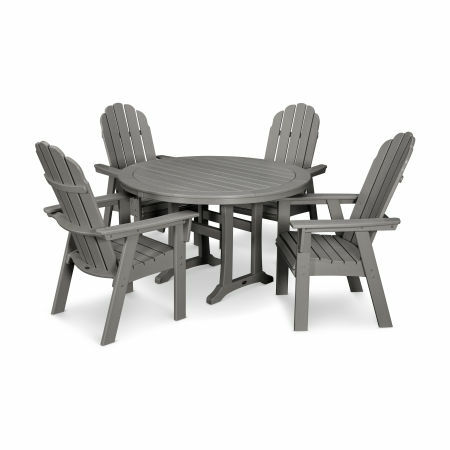 Our unique HDPE lumber is superior to both traditional wood and plastic materials, and it’s perfect for your outdoor furniture. Genuine POLYWOOD® lumber is completely weather resistant, and unlike wood it won’t crack or rot. And, its density and Color-Stay Technology make it possible to leave your furniture out all year-round! Maintenance is a breeze too — POLYWOOD® furniture just requires a wipe down with a damp cloth, water and a gentle dish soap. Here’s a quick breakdown of our available dining collections to help you choose the perfect dining set for your outside space. The La Casa, with its elegant, street cafe feel and round table. The Chippendale, featuring traditional styling with a modern twist and a larger table. The Nautical, so you can pull up a chair to the captain’s table. 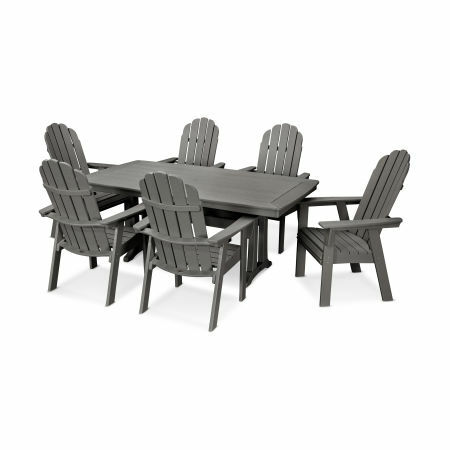 The ever-popular Palm Coast Adirondack, taking inspiration from the Adirondacks. 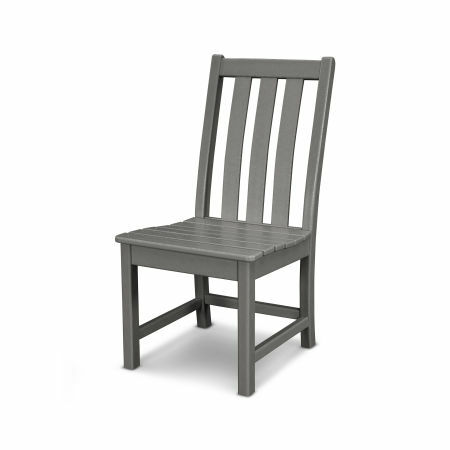 The Classic Adirondack, for simple and easy elegance. The Traditional Garden, a triumph of simplicity and comfort. 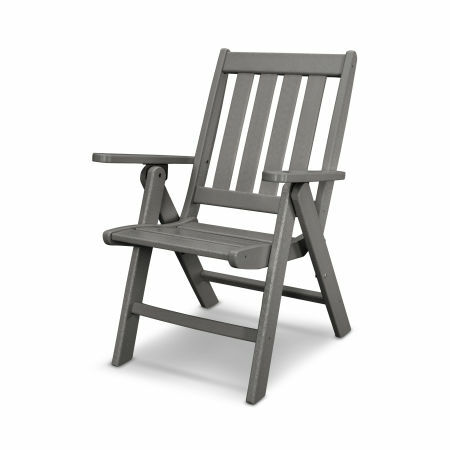 The Quattro Adirondack, with sleek, stylish aluminum. The Bayline, mixing bright colors and natural tones. The Signature, complete with swivel chairs for maximized comfort. 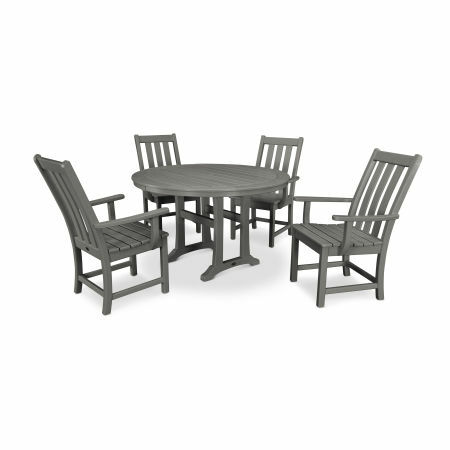 The Palm Coast Adirondack for an informal, relaxed look. The Coastal, for those who want to make a statement. Now all that’s left is to plan your next dinner party!